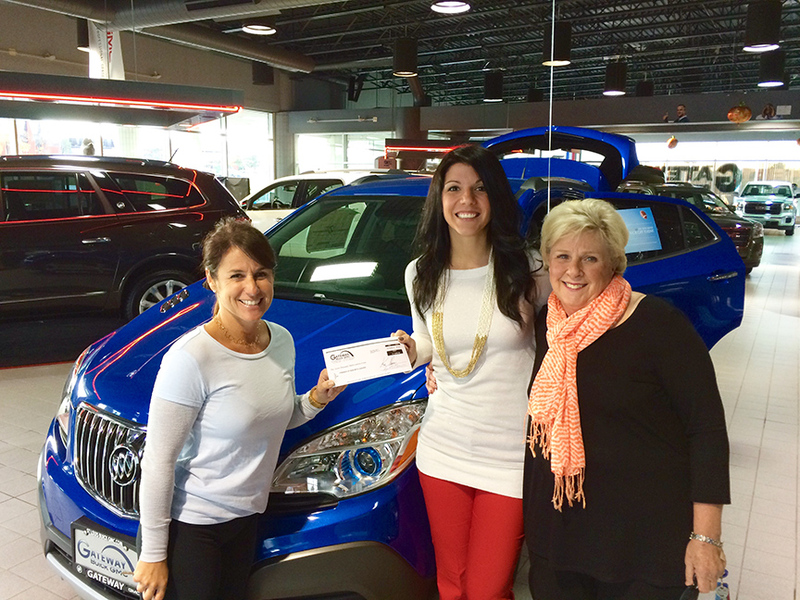 Friends of Kids with Cancer | Gateway Buick GMC 'fuels' fantastic fundraiser during Childhood Cancer Awareness Month! Gateway Buick GMC 'fuels' fantastic fundraiser during Childhood Cancer Awareness Month! Our great Friends at Gateway Buick GMC (820 James S McDonnell Blvd, Hazelwood, MO 63042) hosted an incredible fundraiser during September, which is also designated as Childhood Cancer Awareness Month! Throughout the month of September, Gateway Buick GMC decided to donate a percentage of EVERY CAR they sold back to Friends of Kids with Cancer! At the end of September and all the counting, Gateway Buick GMC donated a whopping $7,000 to help the Educational, Recreational and Emotional Programs ‘Friends’ provides to our awesome kids and their families! Friends of Kids with Cancer is SO grateful for Gateway Buick GMC’s efforts and cannot thank them enough for their support of our mission: helping kids with cancer…be kids!